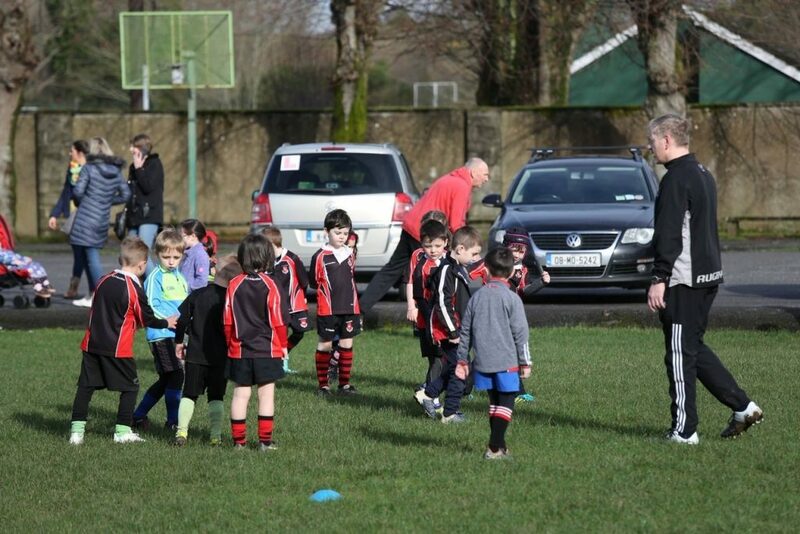 We also endeavour to bring our minis to a Munster Rugby match at some stage of the season. This is usually a great day out where the kids get a chance to see their heroes play on a match day. (the above dates are subject to weather). Last Saturday, our Minis section held the final round of West Munster Blitzes for the season, at Knockreer and the Sem. Over 200 children took part in what can only be described as a top class display of underage rugby with teams at U6 right up to U12 taking part. 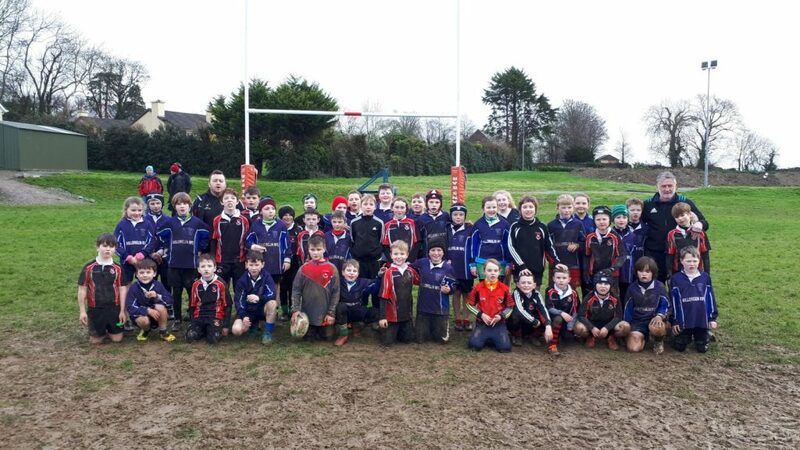 The weather really played it’s part and the overnight rain ahead of the blitz disappeared in the early morning, meaning that conditions were perfect for flowing rugby as we welcomed teams from Rugbai Chorcha Dhuibhne, Tralee RFC and Iveragh Eagles RFC. Our U7 and U8 played their matches on the pitch near the gym at St. Brendan’s College while the rest of the groups played at Knockreer. Both venues were hives of activity as proud parents watched their children wear their club colours with pride and represent their club to the best of their ability. 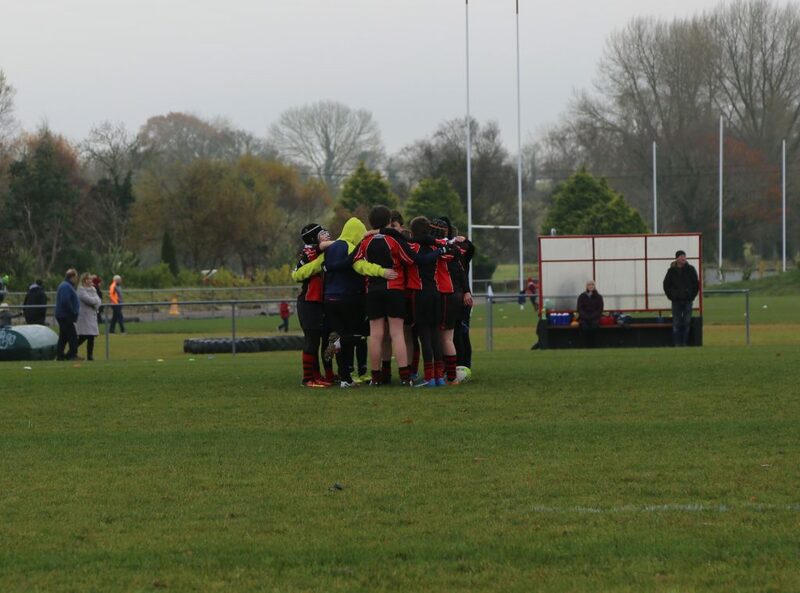 “The quality of rugby on display was amazing right across all age groups.” said Liam Murphy our Minis coordinator and Liam was very proud of the players who represented the #blackandredarmy. Thanks Liam for organising this super day. A few thank you’s must go to everyone who helped in organising the day. A huge thanks to Margaret Murphy who coordinated the food at the Sem for the hungry players and their families and a huge thanks to the parents who helped out with the food on the day as well as those who brought food – the spread of food was simply amazing! Thanks to our band of coaches who looked after their charges on the day and to the parents for the huge support on the sidelines and a special thanks to the children themselves who put everything learned into practise and had fun! Thanks also to Tralee, Chorcha Dhuibhne and to Iveragh for travelling over to us. Finally thanks to Sean Coffey and Joe at the Sem for their invaluable support, it was great to have the use of the Sem again this year and the facility is very much appreciated. On Saturday the 26th of January, Saturday our Minis travelled the short distance to Castleisland to take part in the third round of West Munster Blitzes. The few days leading up to the blitz were poor enough, however the rain eased off early Saturday morning aloowing for favourable conditions. We took on Castleisland RFC and Killorglin RFC in this blitz at U8, U10 and U12 and some fantastic rugby was on display for the spectators. Well done to everyone who took part. Thanks to the parents who again came along in their droves to support the kids and the mighty band of coaches for looking after everyone in this our 3rd blitz of the season. Thanks a million to Derek O’Connell and all at Castleisland RFC for the wonderful hospitality as always. 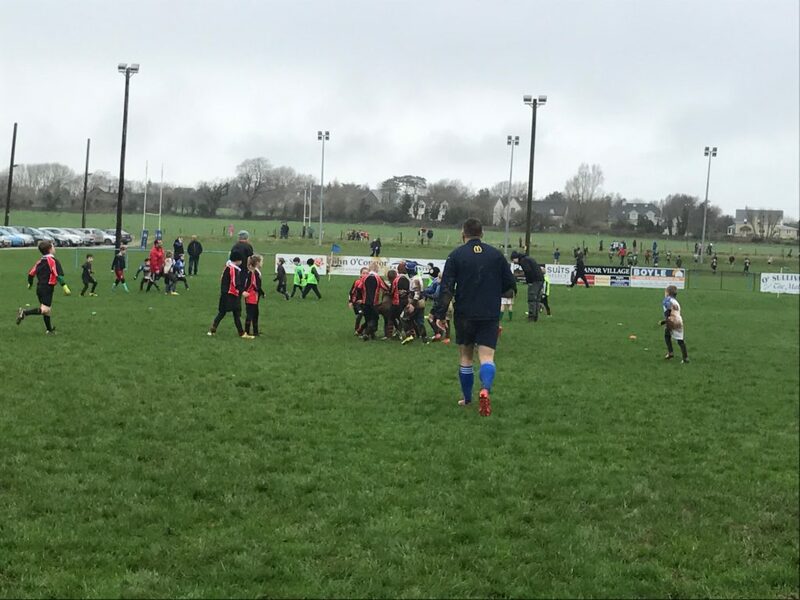 On Saturday the 17th of November, our Minis made the trip to Listowel RFC for the first round of West Munster blitzes. Very well done to every single child who took part and played their hearts out for the #blackandredarmy, we had fantastic numbers travel over from Killarney this morning. Some fantastic rugby was on show from the boys and girls at all ages. Thanks to all the parents for the huge support, who witnessed some fantastic rugby and to our coaches whose hard work ensured some cracking matches today. Thanks to Killorglin Rugby Club and to Listowel RFC for the matches, the future of rugby in Kerry is so, so bright looking at the numbers in Listowel this morning!! A huge thanks to Paul Creighton and all at Listowel RFC for the excellent hospitality as always. Liam – KRFC Minis Coordinator. On Saturday the 28th of October, Saturday our Minis travelled the short distance to the Kerry Woolen Mills in Listry to Killorglin RFC’s home pitch (Ballymalis Pitch) for the second round of the West Munster Minis Blitzes. We fielded very strong teams from U7 to U12 and had around 90 kids travel for the blitz and took on teams from Killorglin, Listowel and Kenmare. Ballymalis was absolutely hopping and there was some fantastic rugby on display. Thanks to everyone who travelled, the parents, the kids who played their hearts out and the coaches who guided their charges with pride. A huge thanks to Killorglin RFC for their excellent hospitality as always. Well done to everyone who took part. Thanks to the parents who again came along in their droves to support the kids and the mighty band of coaches for looking after everyone in our first away blitz of the season. 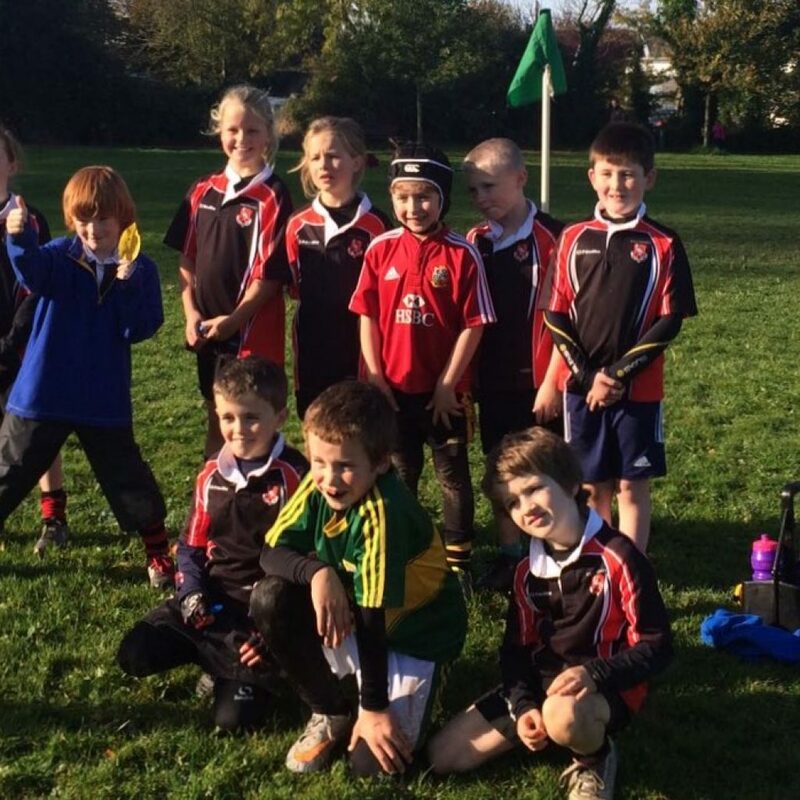 On Saturday the 28th of October, our Minis hosted boys and girls from Castleisland, Iveragh and Killorglin for the first blitz of the new season. 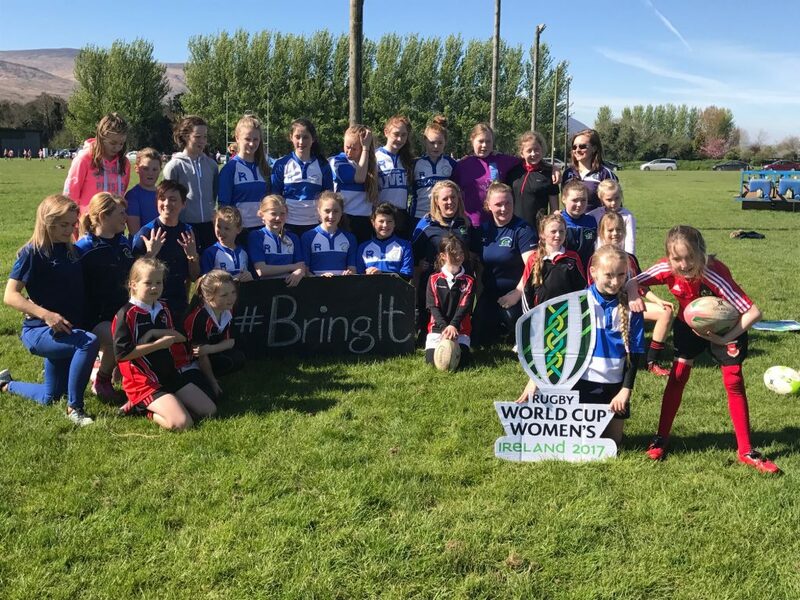 We even created history by hosting our first ever ‘girls-only’ match in Killarney and welcomed girls from Tralee RFC over for the occasion as well as girls from Killorglin. 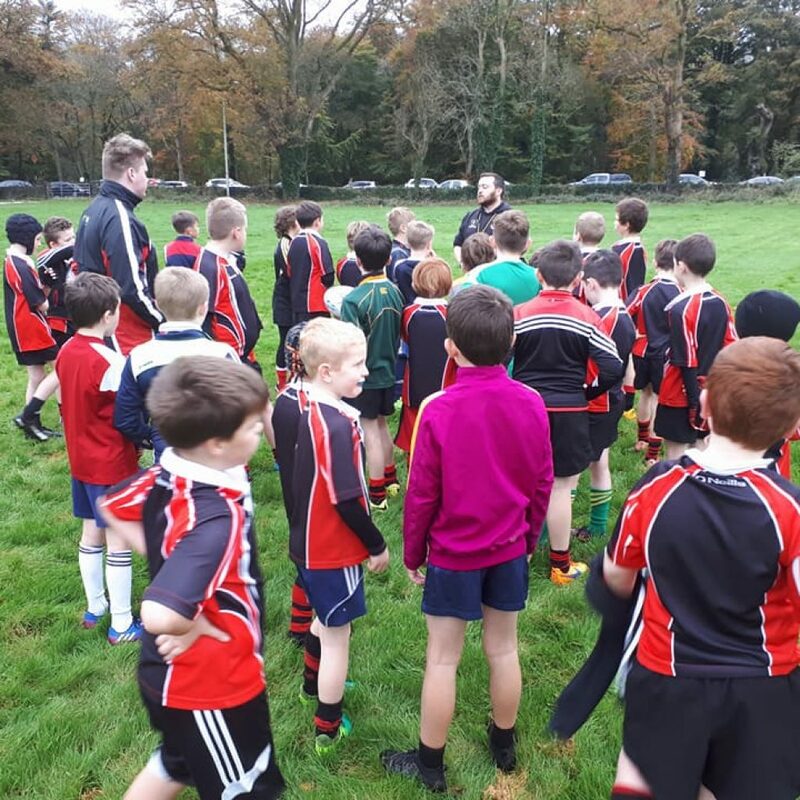 We had a fantastic blitz with over 250 children taking part across 14 pitches at St. Brendan’s college and Knockreer with the parents brining a proverbial mountain of food, rolling out the KRFC welcome to the visiting clubs in the Sem dining hall. A wonderful day was had by all. Well done to everyone who took part. Thanks to the parents who again came along in their droves to support the kids on the first blitz of the year and the coaches for looking after charges in their first outing. 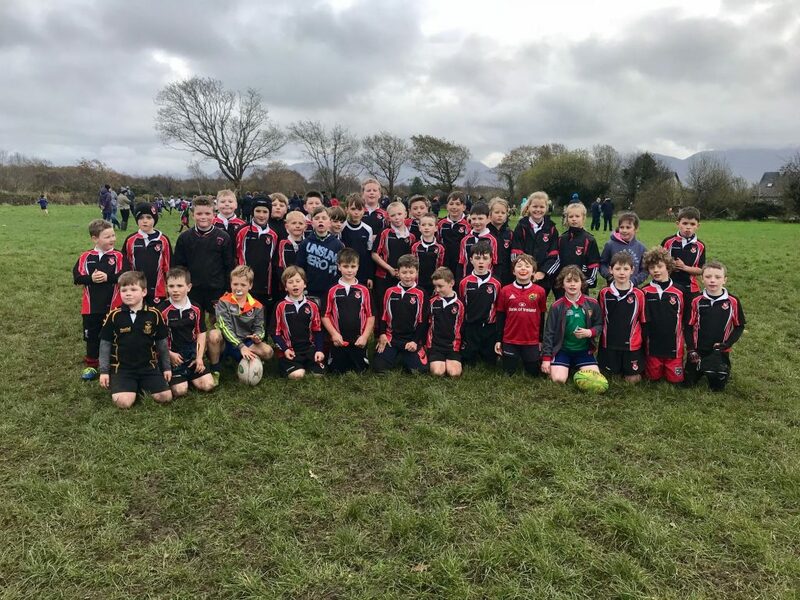 The Minis (U7 – U10 age groups) travelled back to Tralee RFC for the final blitz of the year – the Pan-West Munster Blitz, where we took on teams from 7 clubs right across Kerry. A fantastic day of rugby was enjoyed by everyone in glorious sunshine and Tralee pulled out all the stops to ensure a great day was had by everyone. On the day, our girls were delighted to enjoy a training session with the Tralee RFC ladies and were well looked after by coaches Hollie Ni Bhroin and Morna Dixon who included them in the promotional media photos for the upcoming Womens World Cup. The girls were buzzing leaving Tralee as they thoroughly enjoyed the session. Well done to everyone who took part. Thanks to the parents who again travelled over in their droves to support the kids. On Saturday 25th of February, our minis travelled to Tralee RFC to take part in the latest round of the West Munster Blitz series. We took on teams from Listowel RFC and Kenmare RFC as well as the hosts and fielded great numbers at all ages. Though the day was wet with a misty rain all around, the pitches were in good shape and some fantastic rugby was on display. Thanks to Tom Cronin and all the Tralee crew for organising and the fantastic hospitality on the day. Well done to everyone who took part, especially given the conditions weren’t very good. Thanks to the parents who travelled over in their droves to support the kids. The club’s minis section held an historic and hugely successful first ever blitz at Aghadoe last Saturday. Weather conditions were perfect and the pitches were immaculate as we welcomed teams at under 7 to under 12 from Castleisland RFC, Iveragh RFC and Kenmare RFC. Over 200 children took part in matches where they got to show off the skills learned over the past few months to their eager parents on the sidelines. A wonderful day of rugby was had by all and we had a mountain of food brought by the parents who also chipped in to help ensure the visiting clubs enjoyed the fantastic Killarney hospitality. A huge thanks to everyone who helped, from parking stewards, to first aid, to helping with distributing food, stewarding and so on. Thanks to our superb Minis Coordinator Liam Murphy for organising the day and his band of coaches who refereed and coached the kids and ensured they had a great day. 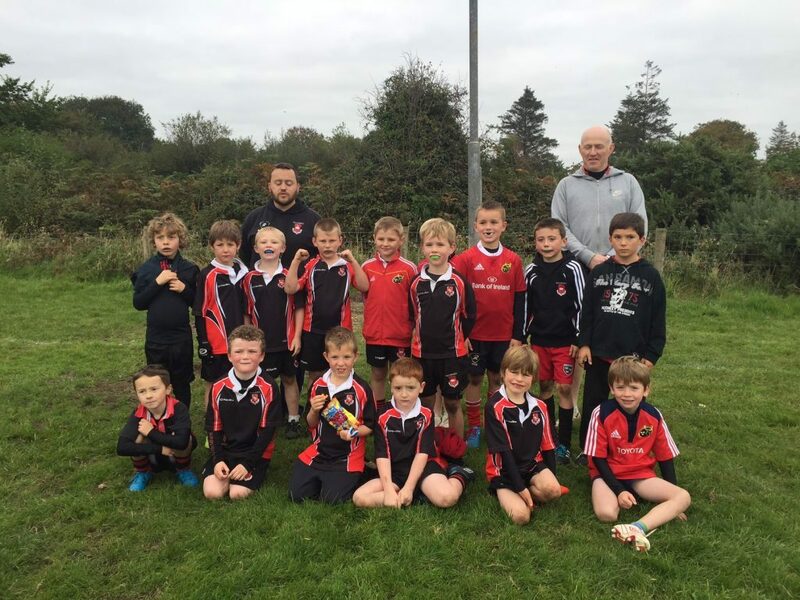 Our Minis traveled en masse to Listowel to take part in the first round of the West Munster Blitz. 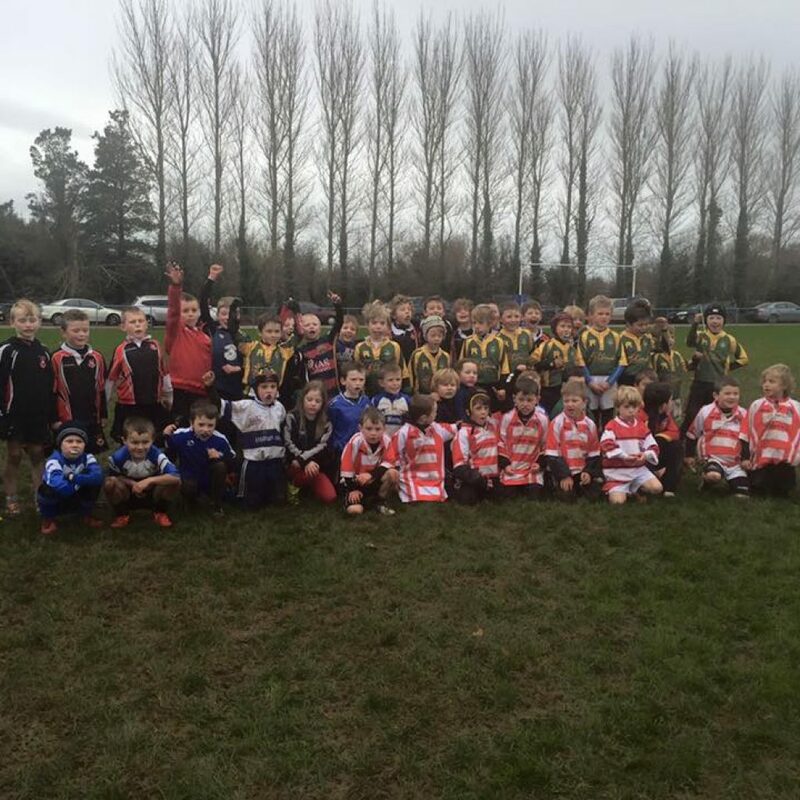 Listowel hosted teams at U8 to u12 from Killarney, Rugbai Chorcha Dhuibhne – Dingle and Iveragh RFC in Cahersiveen. We had huge numbers travel to North Kerry by bus and by car as we took to the road for a great day’s rugby. Weather conditions were fantastic as each squad played between 3 and 4 matches. All children were able to put into practise everything they had learned since the start of September and every single player played fantastic rugby. The coaches at every age grade are very proud of their charges and how they played in Listowel. Well done to all the kids who took part, the parents for travelling and to all the coaches for their hard work. The bus left Aghadoe at 9:15am on a very cold, wet and blustery morning, turning left for Tralee, with cars of parents in tow. The bus was full and we knew that a big day of rugby lay in store, as is always the case with a blitz. We spotted a rainbow along the route and we all prayed that the weather would ease, even just for an hour! As it turned out, someone was listening to us and the conditions at Tralee were perfect for the matches to come. We had one team each at U7, U8, U10 and U12 and took on teams from the host club Tralee RFC as well as Corcha Dhuibhne and Listowel. Having played Corcha Dhuibhne and Listowel already, there was some nice recognition amongst the players and coaches. The matches passed by in a blur, with all of our suqads scoring many tries and playing some fantastic fast flowing rugby. Everyone left the pitches absolutely buzzing following the matches and tucked into the spread in the clubhouse with gusto. We would like to extend a huge thanks to Tom Cronin and his crew for the wonderful hospitality shown to all. We look forward to hosting you all at Aghadoe very soon! 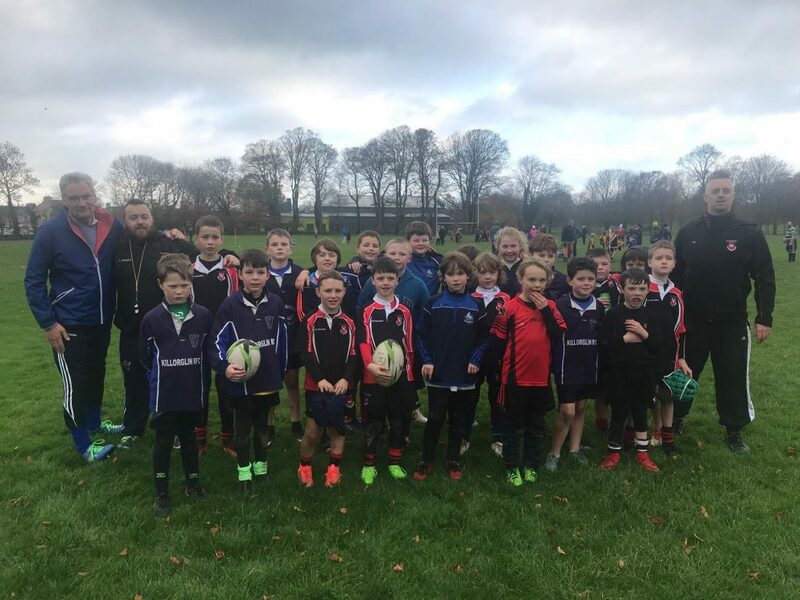 Our Killarney Minis traveled to play the first round of the West Munster on Saturday, and traveled the short distance to Ballymalis in Listry, the new home of Killorglin RFC. Also playing in this event were Corca Dhuibhne and Listowel, who provided some great rugby and great matches at all levels, throughout the morning. All of our squads played some fantastic rugby, and showed some wonderful skill. Given that this was the first blitz of the new season, we were blessed with some great weather and the conditions of the playing pitches were perfect. We were represented at under 12’s by two ten-a-side teams, meanwhile our under 10’s were also represented by teams. Our mighty under 8s and under 7s also played each of the other clubs, providing two squads each, allowing everyone who travelled game time with good results too, keep up the hard work. We would like to say a huge thanks you to Andrew Eadie and especially Geraldine O’Shea and the crew for the wonderful hospitality shown to all.